Quneitra, Syria - Israeli warplanes targeted and struck three military and admin targets, early Tuesday killing civilians and soldiers Tuesday in Syria’s Golan according to AFP. The strikes targeted the Quneitra province, where the governor’s residence is present. According to Turkish media Daily Sabah (http://bit.ly/U86qOh ), eight civilians and 10 soldiers have been killed. 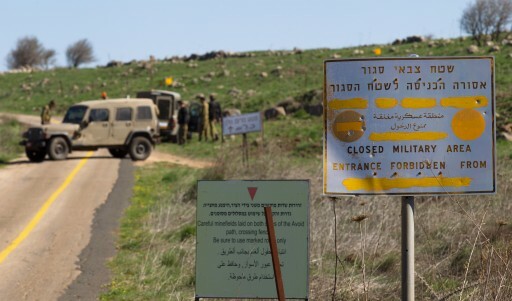 The strikes were launched in Syria after Syria fired a rocket that hit the Israeli side of Golan Heights. No casualties were involved in that attack. Good job! Pray for the IAF, some of their planes go out from a base near my house. I see them, I hear them & I fear for them.